It’s time to get your Mother’s Day gifts! Why put it off until the last minute and end up with a gift that’s only so-so. Create your own Mother’s Day gift and make this year extra special. I love, love, love handmade gifts, so I thought I share a few fabulous ideas to jump start your creativity! These are a few of my favorites including some from this list of 101 Gifts for Her! 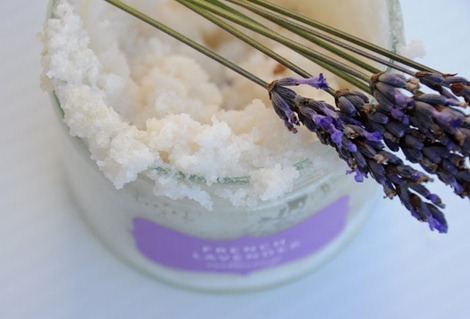 Lavender Body Scrub…I’ll take it! Oh my gosh, this is such a nice gift! Check out Deliciously Organized for the details, but I want to warn you that you could end up with a song stuck in your head once you read her post. 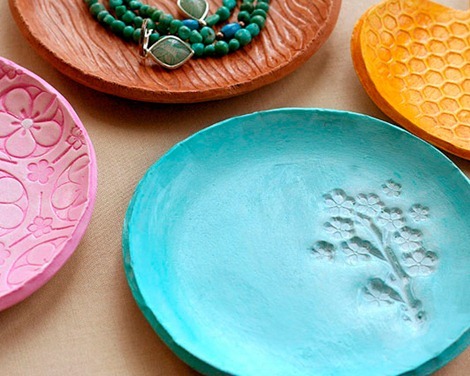 I want one of these DIY Jewelry Dishes! What a beautiful Mother’s Day gift created with just a few simple supplies. Check out the full tutorial on Fiskars. 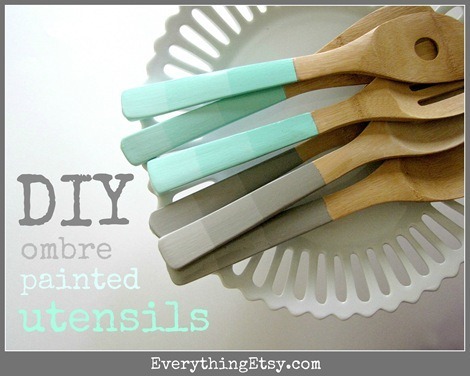 Try something different this year with these cool DIY Ombre Painted Utensils…they’re easy and beautiful! 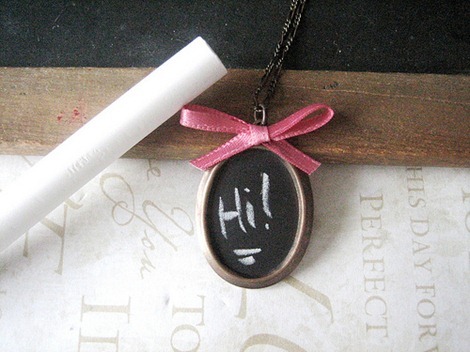 This is not your everyday DIY gift…a chalkboard necklace! It’s super cute! Henry Happened shares a great tutorial for this idea. Oh, and I have to mention the cutest little Hama Bead Bracelet for your DIY fun. Cute gift idea, for sure! Use these beautiful free printables to create a Mother’s Day gift in minutes! I love the matching matchbook covers. 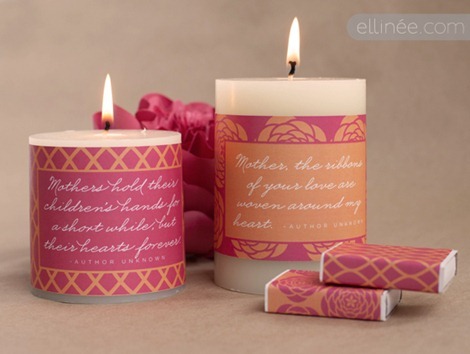 You can find a few more Mother’s Day printables on The Ellie Blog. 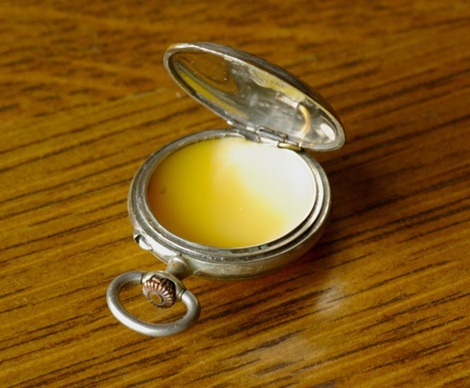 This is a lovely perfume locket using a pocket watch…cool idea! You can follow the step-by-step instructions on Design Sponge. Can you sew? 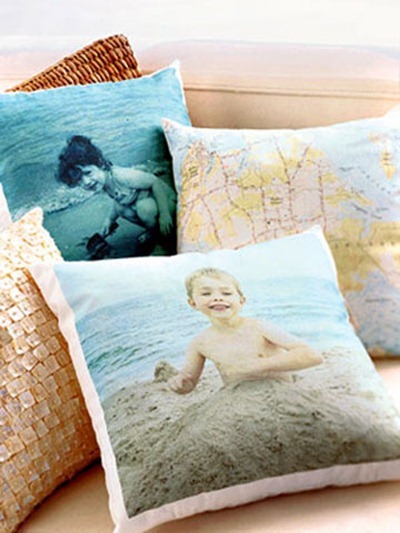 This is a simple photo project that’s sure to create a treasured gift! You can find out the details on BHG.com. Isn’t this stunning?! 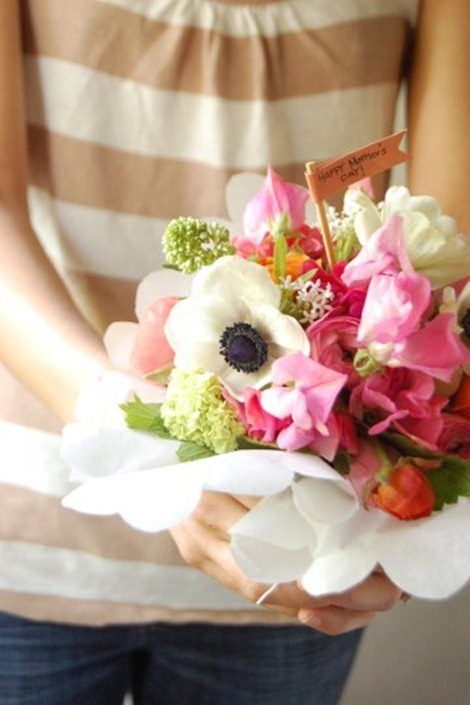 Create a french hand tied bouquet…you can’t go wrong with this gift! The Frolic Blog is full of beautiful ideas. 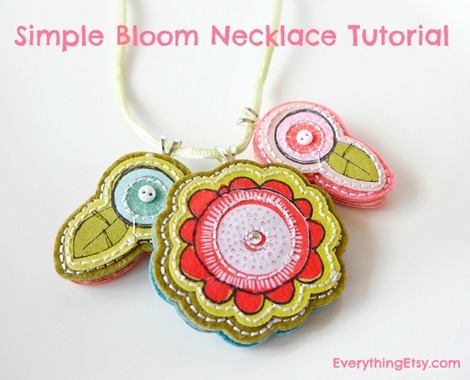 This Simple Bloom Necklace is the perfect gift to make with your children…It’s amazingly easy! Check out this quick tutorial! 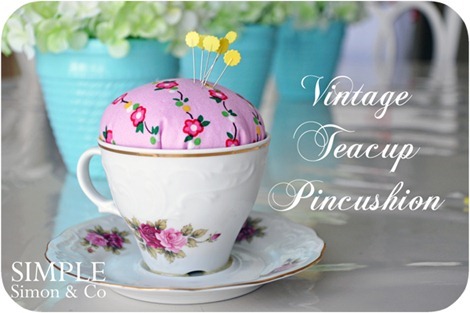 Create a sweet vintage tea cup pincushion in a few simple steps. You can find all the details on I Heart Naptime. 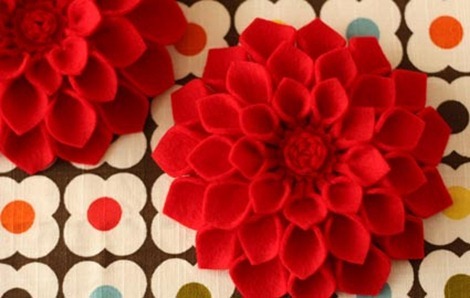 This amazing felt flower brooch is the perfect accessory for a Mother’s Day Brunch. It’s easy and here’s the tutorial to show you how to make one in minutes. 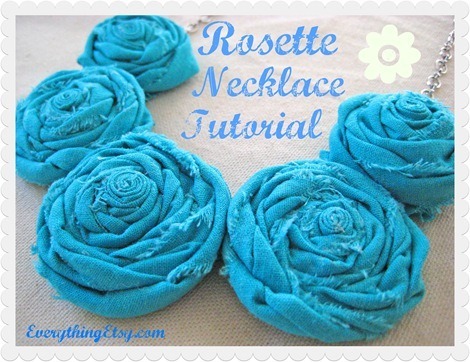 Gather up a some fabric scraps and create this rosette necklace! I have one and I love it! Here’s all you need to whip up one today…oh, but make sure you make yourself one while you at it! Looking for a few more ideas? Check out these FREE Pretty Printables for an instant gift or two, and these vintage inspired painted mason jars make a beautiful gift. 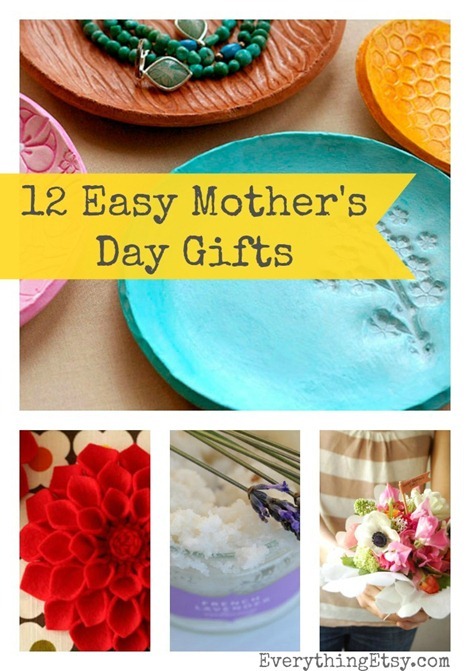 Have you made handmade Mother’s Day gifts in the past? I’d love to hear about them! Such a wonderful gifts ideas. Thanks to share.. I love the jewelry dishes – they could be used for a candle, too!